Actress Halle Berry has joined the series in its most recent installment, John Wick: Chapter 3 – Parabellum, which will be released in May. Not only is she lending her acting talents to the film, she also had a hand in training her canine co-stars! If you’ve seen the trailer for John Wick 3 you’ve seen some of the Belgian Malinois who have been working alongside her. Her two companions were actually five dogs, with whom she was encouraged to play and bond. Director Chad Stahelski wanted the experience to be fun for the dogs, so training was a foremost concern for the film. He didn’t want dogs who were attacking actors on cue, he wanted dogs who believed they were playing a game with the stunt people and having a good time. “When you see a dog attack on screen or in a film, the dog doesn’t know it’s a movie. It’s an animal attacking a human in the mentality of ‘I’m gonna bite and chew this person up.’ So we wanted to find a trainer who was willing to take younger or adolescent animals or puppies and train them so that…the interaction with the stunt people was fun. It was a game. It wasn’t life or death, it wasn’t an animal protecting himself or anything like that. 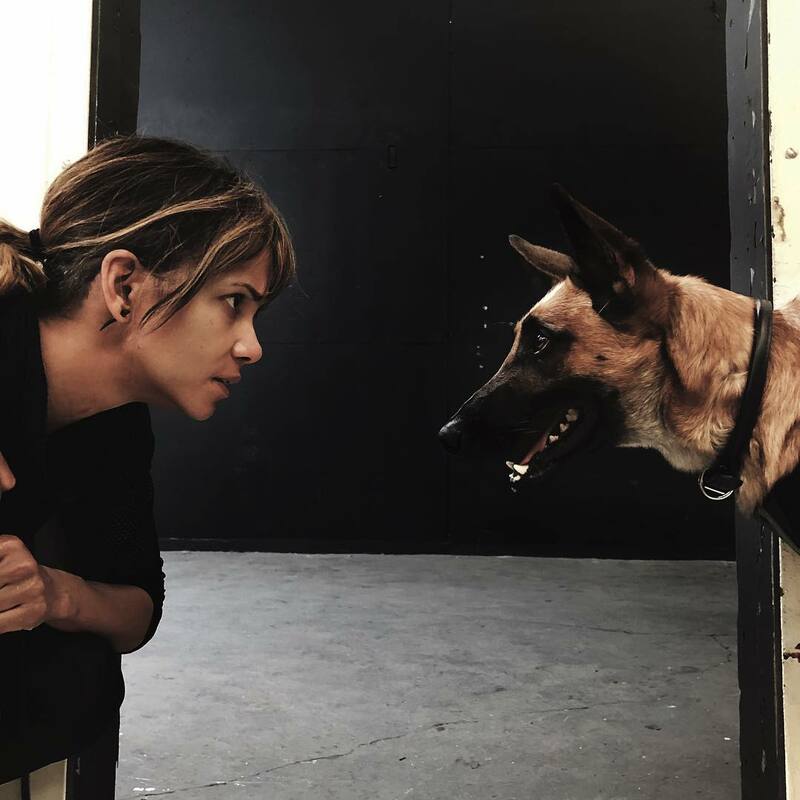 Halle Berry became instrumental in achieving the behavior he hoped to get from the dogs. So not only did she have the training and rehearsal necessary for a film that required so much from her already, she also had to make time to spend with the furriest members of the cast! It’s not likely that Berry considered training with her on-screen pets a chore even with all her other responsibilites to the film – she’s a BIG animal lover. Her cat, Spanky and two Labradoodles, Jackson and Roman frequently appear in her social media. When her senior cat Playdough passed last year she wrote a touching goodbye on Instagram that broke hearts all over.